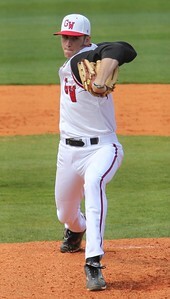 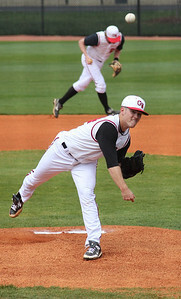 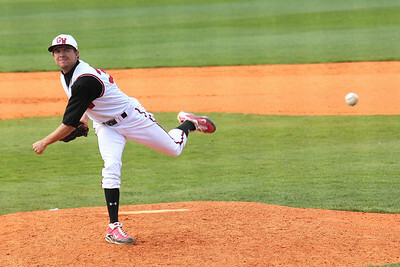 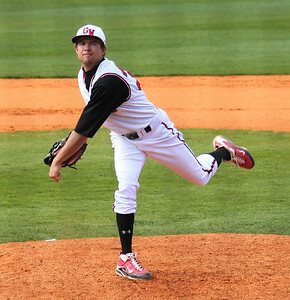 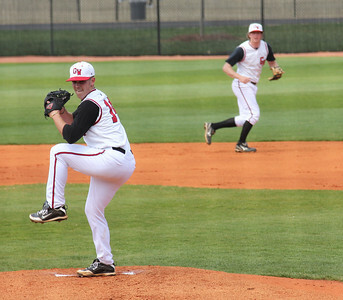 #14 Conner Scarborough took the mound against UNC-Asheville on March 19th, 2011. 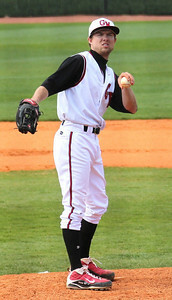 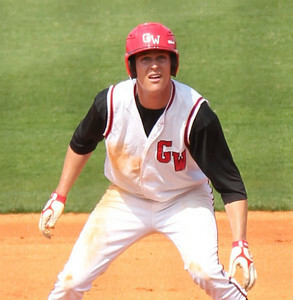 #16 Benji Jackson reached first base in the 'Dogs win against UNC-Asheville on March 19th, 2011. 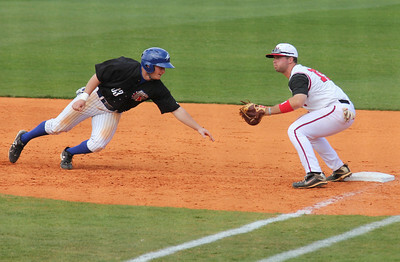 #16 Benji Jackson slides into first base on March 19th, 2011. 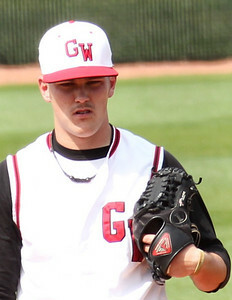 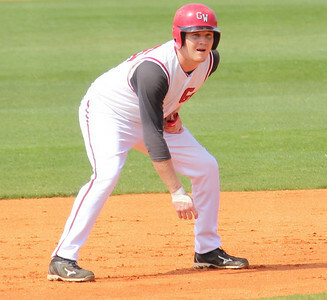 Benji Jackson watches a ball and contemplates stealing second during the March 19th game against UNC-Asheville. 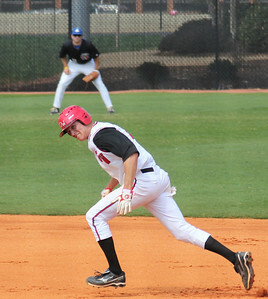 Benji Jackson runs to second on March 19th, 2011. 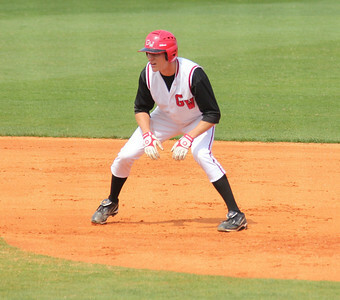 #26 Jake Watts awaits a pitch on second base in the Diamond 'Dogs winning effort against UNC-Asheville. 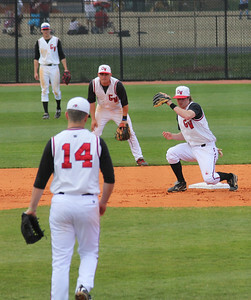 #21 Adam McFarland tries to avoid a ground ball sent his way while running bases but is called out due to interference on March 19th, 2011. 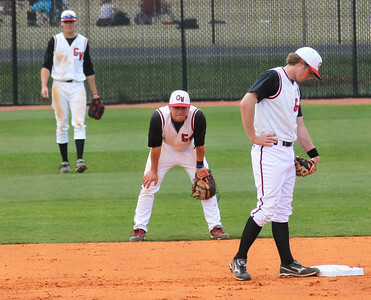 A host of Diamond 'Dogs wait for the top of the next inning to begin on March 19th, 2011. 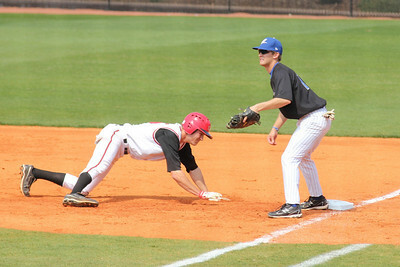 #39 Brad Collins attempts to throw out a runner at first base during the second of three games against UNC-Asheville. 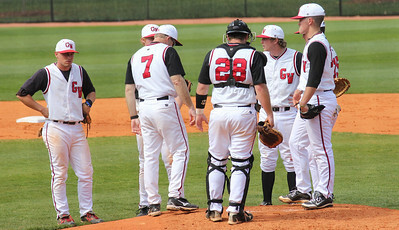 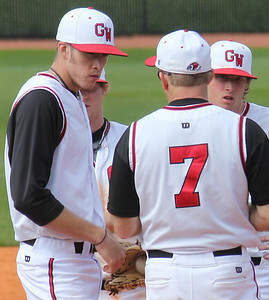 A pitching change was called in the third inning during GWU's match against the Bulldogs of UNC-Asheville on Saturday, March 19th, 2011. 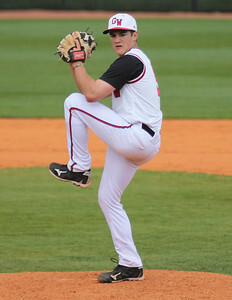 #19 Brock Wilson gets the call to pitch in the Bulldogs game against UNC-Asheville. 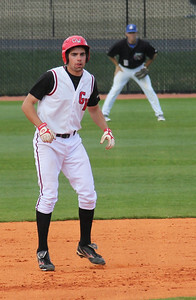 #15 Dusty Quattlebaum awaits a throw to first for an attempt to throw out the runner from UNC-Asheville. 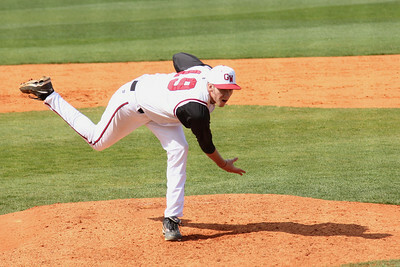 #33 Brett Stackhouse is was next up on the mound for the Diamond 'Dogs. 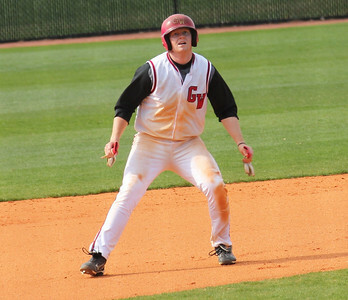 #39 Brad Collins got a ringing double to centerfield for Gardner-Webb in their decisive win against UNC-Asheville on Saturday, March 19th, 2011.
the 12th run crosses the plate for Gardner-Webb in their 12-7 victory against UNC-Asheville on March 19th. 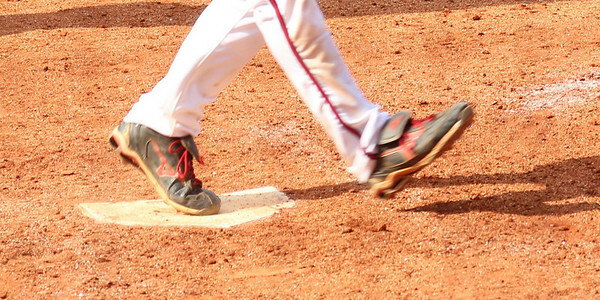 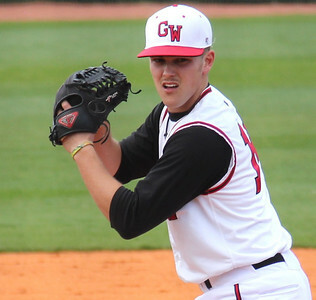 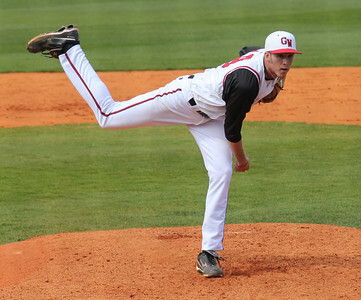 #5 Matt Liedberg closed the game for the Diamond 'Dogs, sealing the 12-7 victory for the GWU squad.